Happy Friday folks! What better day to share a margarita recipe than on a Friday. Now that my organic produce deliveries are shifting more towards winter crops I have been seeing lots of great citrus. While I certainly love to eat my fruit, it is fun coming up with fabulous drinkable concoctions too. Last weekend I used fresh squeezed orange juice to make mimosas. They were superb! This week I had some extra grapefruit and limes on hand so I came up with this grapefruit margarita recipe. It was the perfect refreshing beverage after my long day at work. If you like the tartness of fresh grapefruit give this a try. I loved that this margarita was nothing like the syrupy, too sweet, premade margarita mixes you get at the store. These ones are actually good for you! Grapefruits are low in calories and are a great source of inositol, which helps the body to maintain a healthy metabolism. They are also a member of the vitamin B complex and are an excellent source of vitamin C, which everyone needs more of during the cold and flu season. So next time you are craving a refreshing adult beverage give these a try. Cheers! Note: If you don’t have fresh grapefruit on hand you can substitute the hand squeezed grapefruit juice for some store bought. Just be sure to leave out the added sugar. Pour your margarita salt onto a small plate. Moisten the rim of a margarita glass with a lime wedge and dip the glass into the salt until it coats the rim. In a large cocktail shaker combine the grapefruit juice, juice from lime, tequila, triple sec, and sugar. Fill up the rest of the shaker with ice. Holding the lid firmly in place, shake the margarita until the outside of the shaker has condensation. 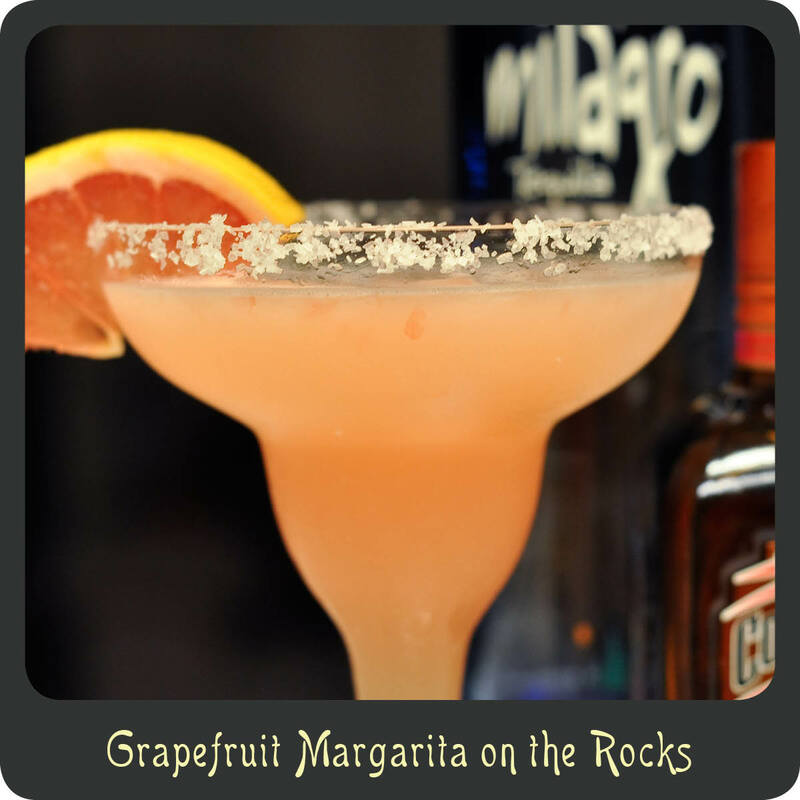 Strain the margarita into the glass and garnish with a slice of grapefruit or a lime.